A4 size catalogue produced for the exhibition The Image Employed at the Cornerhouse, Manchester - selected by Keith Piper and Marlene Smith. The exhibition was subtitled the use of narrative in Black art, and brought together a number of practitioners exhibiting in the relatively new Manchester venue, Cornerhouse. Piper and Smith both contributed work to the exhibition. The exhibition ran from 13 June - 19 July 1987 and featured Allan de Souza, Amanda Holiday, Chila Kumari Burman, Claudette Johnson, Donald G Rodney, Eddie Chambers, Jennifer Comrie, Keith Piper, Marlene Smith, [Trevor] Mathison/[Edward] George, Mowbray Odonkor, Simone Alexander, Sonia Boyce, Sutapa Biswas, Tam Joseph, and Zarina Bhimji. There then followed, within the catalogue, an introduction by Marlene Smith. The early part of the introduction is punctuated by statements, in bold, such as This exhibition exists as an attempt to move towards the formulation of a language(s) (sic) with which to examine Black art practice by responding to the work of a number of Black artists; It is in recognition of the functions that criticism(s) sensitive to our practice can fulfil that this attempt is made. 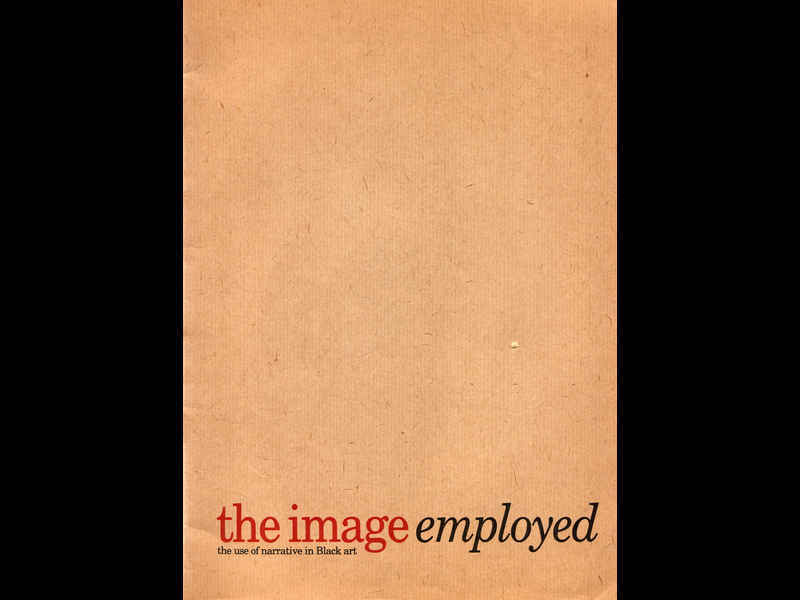 ; ‘The Image Employed’ attempts to locate the practice rather than determine it. Artists’ pages, with brief biographical details, and artists’ statements and visuals. Note The artists are alphabetically listed, by first name. The Image Employed: the use of narrative in Black art. Curated by Keith Piper and Marlene Smith, whose work was also included in the exhibition. Held at Cornerhouse, Manchester, 13 June - 19 July 1987. Exhibition featured Allan de Souza, Amanda Holiday, Chila Kumari Burman, Claudette Johnson, Donald G Rodney, Eddie Chambers, Jennifer Comrie, Keith Piper, Marlene Smith, [Trevor] Mathison/[Edward] George, Mowbray Odonkor, Simone Alexander, Sonia Boyce, Sutapa Biswas, Tam Joseph, and Zarina Bhimji.